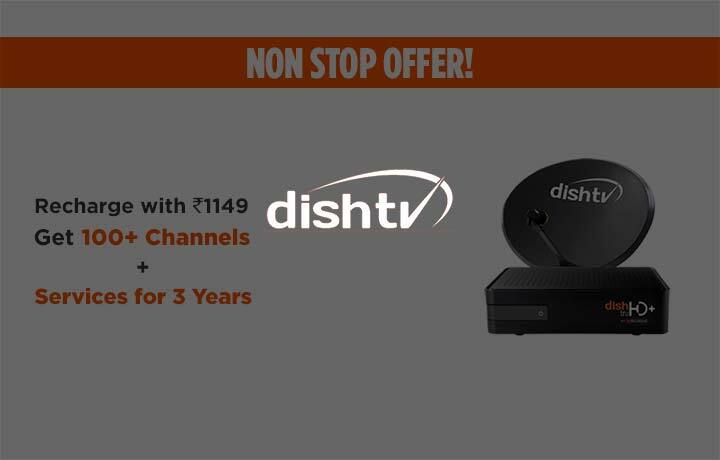 DishTV Offering Free 300+ channels for 3 Years at Just Rs.1149 ! To avail this Offer You need to Recharge of Rs.1149 from Mobikwik Only then you will get benefit. Just Read the full steps given below to avail this special offer from Dishtv & MobiKwik. How to avail DishTV Mobikwik Offer? • That's it! You will get 300+ channels free for 3 years. - Recharge of Rs.1149 and get 100+ channels and services for 3 years. - The offer is valid only on operator Dish TV. - Offer is valid till 31st March 2017.